Working with major donors to ignite their passion to give is the #1 to transform your organization. Richard Perry and Jeff Schreifels know this, and talk in this episode about what's changing with major giving, and how to provide gift officers the tools to connect with the best major and planned giving donors. Crowdfunding is a great way to capture new donors. This socially-connected and optimized online giving platform is now in use by over half of higher education institutions for fundraising in one form or another. We’ve released our 2018 Crowdfunding Index, which reviews over 5,000 charitable crowdfunding campaigns on the RNL ScaleFunder platform, with combined giving of $73 Million. I got on the line with RNL crowdfunding expert Mary Grace Baldo to review the data, and talk about key trends and what’s next for this great way to engage donors. Crowdfunding now has wide adoption, and we’re seeing some great things as institutions further include crowdfunding into their overall giving strategy. The technology has come a long way, and can integrate directly into your current gift processing and stewardship plans. And when you look at the stats for first-year crowdfunding programs, the ROI can be really great. You’re going to want a partner who understands how to implement the technology across all your channels, so your crowdfunding program becomes an integrated part of how you talk with donors for annual giving, special projects, and even major gift campaigns. We were the early adopters of charitable crowdfunding here at RNL, and we have years of experience to help you be successful. Give us call and get a demo of what RNL crowdfunding, powered by ScaleFunder, can do for you. 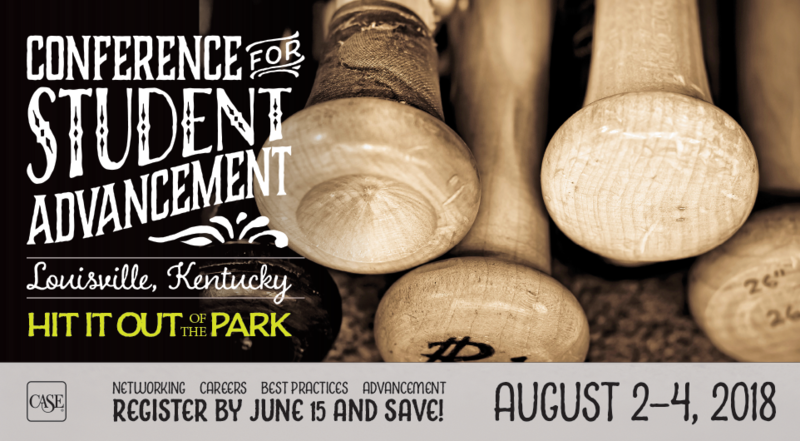 Your high end donor prospects invest in experiences. This is true both in how they give to charities and how they spend their leisure time. Adam Capes knows this and he's pioneered a new way to engage high end donors with luxury experiences that also make a difference. In the 21st century your top donors are much more willing to invest in experiences than stuff. What Adam's figured out is that having a memorable experience as part of a donation is really crucial to engaging a longterm interest of your donors. This donor experience is crucial to everything that we do here at Ruffalo Noel Levitz. If you're ready to take your donor experience to the next level, get in touch with us. We're ready to help. Making sure that your major and planned giving fundraisers are productive is a key part of raising transformational gifts for your organization. In the second year of our major and planned giving productivity survey, we explore these issues, find out what major and gift officers think about predictive analytics, wealth ratings, and how they're able to qualify donors at scale. I got on the line with Josh Robertson to talk about the results of our second survey on major and planned giving productivity. So, if you're trying to have success in your major and planned giving program, who you're talking to is only part of the issue. The systems you use to help your gift officers really connect, to listen, and to engage donors are crucial in reaching your aspirational fundraising goals. If you'd like to take your major and planned giving program to the next level, drop us a line here at RNL. We're ready to help. Looking into your database of supporters and searching for those people who are ready and able to make a major or planned gift is crucial to any organization's success. But how do you find the right people and ask them in the right way at the right time? Well, Greg Warner at MarketSmart has some ideas. In fact, he's built a name for himself by directly challenging our assumptions and the generally dated tactics we use to engage donors. I got him on the line to talk a little bit about how we can find new ways to engage major and planned giving donors. Making sure that you're approaching the best, most ready and most able prospects for major and planned giving is absolutely crucial to meeting your fundraising goals. If you're doing the same old thing, your gift officers probably aren't having a high level of success. It might be time to look at things differently. We agree with Greg that it's time to look at things differently. If you'd like to take your major and planned giving program to the next level, give us a call here at Ruffalo Noel Levitz. We've pioneered new technologies using your data and 21st century engagement tools to help you better engage the best major and planned giving prospects. We're ready to help. Annual giving is the lifeblood of most fundraising programs, and we’re interested in keeping a pulse on current trends and fundraiser challenges. 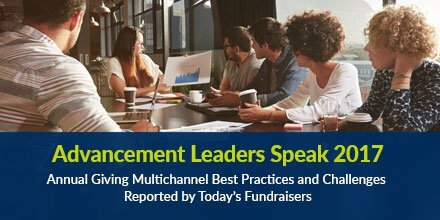 We’ve published the second version of our Advancement Leaders Speak series, where over 250 annual giving leaders told us about where they’re focusing their energy to connect with donors. Included this year is a special focus on both parents and leadership givers, two important groups. I got on the line with annual giving career veteran Shad Hanselman to go through the survey results and hear from him about the future of annual giving. Engaging parents and leadership donors will also be a top priority for most institutions in the coming years. These two groups, which might actually be the same people in many cases, require a different approach from your overall alumni and supporter base. Again, personalization, and engaging donors with a live feedback look will be key. Every year, the Nonprofit Research Collaborative puts out two big surveys to track trends in giving. Organized around 15 different fundraising methods, it’s one of the most comprehensive surveys around. The Winter 2018 Nonprofit Fundraising study report is just out, and shows that most charities are doing better through the end of the calendar year. I got on the line with Melissa Brown from the Non Profit Research Collaborative and Aggie Sweeney from Giving USA to go over the results and talk about what they think is next for nonprofit fundraising. The Nonprofit Research Collaborative and Giving USA are great resources to track trends in fundraising. Melissa and Aggie had great insights about how wealth demographics and donor engagement are changing our work. Head on over to npresearch.org to download the most recent research. And stay tuned in June for the always important Giving USA annual report. Tracking trends is a key part of fundraising strategy. And we’re doing this every day at RNL. If you’d like to apply the latest trends to your fundraising strategy, drop us a line. We’re ready to help. Student philanthropy programs are an important part of the advancement efforts. We know from research that almost 90 percent of colleges and universities do some type of student philanthropy program, whether it’s a philanthropy day, a student phonathon, a student organization, or even involving students in thanking donors. The Engaging Students in Philanthropy Symposium, offered by CASE as part of the Student Advancement conference coming up in just a few months, is a great place to find out about the best practices in starting and improving a student philanthropy program. I’m proud to be on the faculty once again this year. I got the great group of symposium faculty on the line to talk about what we’ll be covering this year, and what’s hot in student philanthropy work right now. Register for the Symposium here! Engaging your student body in philanthropy is a key best practice to grow future givers and provide a great experience for all your donors. Join us at the symposium to find out about how to start or expand your program, interact with other passionate student philanthropy missionaries. You can find out more at case.org. We’ll see you there. Over three quarters of higher education institutions use the phone in some way to reach out to donors each year. At the biggest programs, this amounts to a student caller phonathon, which contacts thousands of alumni, parents and friends. These phonathons or telefunds can generate millions in support, not to mention great conversations which build the relationship with a donor. We’ve just released the RNL Phonathon index, looking at 93 phonathon programs from 2014 to 2017, with over $300M in pledges. 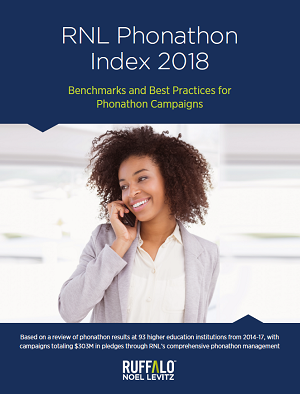 We uncover some of the key trends and best practices in phonathon programs and make suggestions about how to take your phonathon to the next level. You can download the full index at RuffaloNL.com today. I got on the line with podcast pal Josh Robertson, a fellow phonathon veteran, to break down the results and talk about what’s next for this key donor contact channel. Chances are, if you’re doing the same thing you’ve been doing with your phonathon for years, you’re probably not getting what you could out of the channel. This channel deserves the best you can offer in terms of strategy and technology. As the only truly scalable personal conversation channel in higher education fundraising, phonathons can have a lot of value. But only if you do them smartly, in a data-driven and focused manner. As Josh mentions, it depends on your goals, but you can craft a solid 21st century phone strategy, as these 93 institutions show. So, if you want to take your phonathon to the next level, drop us a line here at RNL. We have a team of experts ready to help. Strong use of data is the cornerstone of any great fundraising program. The best programs take this to the next level, moving from descriptive to predictive – actually guiding gift officers and annual giving appeals to the donors who seem the most ready. Making this transition can be daunting. 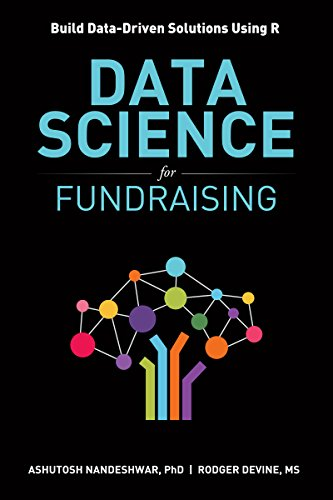 So today, we’ll talk with one of the authors of a new book, Data Science for Fundraising, building data-driven solutions using R. Ashutosh Nandeshwar is a fundraising data veteran, and a thought leader in this important emerging field. The book is part introduction to new data techniques and an in depth hands on manual to get started. Whether you’re the geek who will be manipulating the data or just interested in how this new way of thinking can transform your fundraising, he’s a great source of insight. In our recent surveys of over 3,000 fundraisers, fully three quarters told us that they don’t feel like they are using data in the best way possible. This extends to annual giving, major and planned giving, as we try to harness our massive databases to provide better, more personalized appeals. As Ashutosh and I discussed, this isn’t just the best way to fundraise—it’s better for donors, and uses their time and attention efficiently and with the highest impact. If you’re ready to roll up your sleeves and get into the data, Ashutosh and Roger’s book is a great tool. Data-driven fundraising is a big focus here at RNL, and we’ve launched new products which do what we’ve discussed in this podcast –taking fundraising into the 21st century. If you’re ready to provide a more personal experience to donors and transform your fundraising, drop us a line. We’re ready to help. How do we get more people interested in fundraising as a profession? It’s a key question we’re trying to answer, as we struggle to fill positions, engage donors, and take advantage of the tremendous interpersonal talents of a rising millennial generation. I came across a book that is quite different than anything we’re used to reading about fundraisers. What happens when you go from rocker to fundraiser, and go all in on philanthropy? 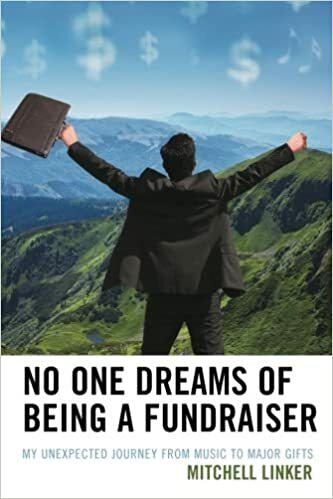 Mitch linker, author of No One Dreams of Being a Fundraiser: My Unexpected Journey from Music to Major Gifts can tell us. I got Mitch on the line to talk about his book, his journey, and how we can get more unlikely candidates interested in our profession. You can find the book on Amazon. Getting over the fear of asking by just doing it, finding coaches, and staying with an organization long enough to learn about the donors are all great steps on your path to becoming a better fundraiser. Mitch’s passion and insights for our profession are incredible, even if he came to the job in a bit of a non-traditional way. Well, come to think of it, who does dream of being a fundraiser? Probably no one. But for those of us who stick with it, and as Mitch says, go all in, find out that our jobs are a dream. We get to work with great people, see transformational giving, and the impact of our work on the people our charities serve. So I say, dream on fundraisers, and if you see someone you think might be great, take them in and give them a shot. It’s time for us to look in different places for the next generation of fundraisers. We have the winners of the 2018 March (Alumni Giving) Madness tournament! This tournament is our fun way to determine the top alumni giving institutions for higher education fundraising. We took the institutions in this year's men's and women's NCAA Basketball Tournaments, analyzed their alumni giving statistics, and determined the two top institutions for alumni giving. In this podcast, we break down the results, methodology and talk about how to amplify alumni giving for your institution. You can read about the methodology we used and about the first two rounds of results in our first blog. Men’s Bracket: University of Pennsylvania. Returning after last year's win in our women's bracket, Penn continues to have one of the highest alumni participation stats in the tournament. As we mentioned last year, donor growth and consistency in young alumni giving have been real strengths at Penn. Women’s Bracket: University of Notre Dame. Another return winner, Notre Dame also took home a win in 2016 in the men's division of our tournament. Two years of consistent alumni donor growth and a LeBron-level performance for giving-per-living-alumnus made the Fighting Irish unstoppable. All this year’s tournament participants are winners. As we approached the final bracket stages, we noticed some pretty incredible alumni giving and donor growth at the top institutions. All participants in this year’s tournaments should be congratulated. The generosity of their alumni is incredible, with more than $3.7 billion given by alumni to these institutions in 2017. Check out all the results, with expanded commentary on the stats, in our March (Alumni Giving) Madness 2018 e-book. Download your copy here. There is no denying that higher education campaigns have been transformative. These comprehensive efforts help us build buildings, fund scholarships and even boost current use support. And they are growing. It’s more and more common for us to see campaign totals exceeding 1 billion. Almost every institution is either in or thinking about a campaign. So we wanted to know what fundraisers feel about the future of campaigns in higher education. We surveyed almost 600 fundraisers and got their opinions about what is working and they key challenges to campaign success. I got on the line with RNL expert Caryn Stein to break down the results of this latest edition in our Advancement Leaders Speak series. We know from the survey that you are either in a campaign or working on starting one soon. A few things we learned from this survey: fundraisers do expect campaigns to increase their advancement budgets. But they are under big pressure for big totals, and unless we can think a bit differently, those resources may not be enough. It’s time to reinvent fundraising, and how you organize your campaign, using the best tools and data-driven technology, will make all the difference. That’s what we’re focused on here at RNL, so if you’re ready to take you campaign to the next level give us a call. We’re ready to help.